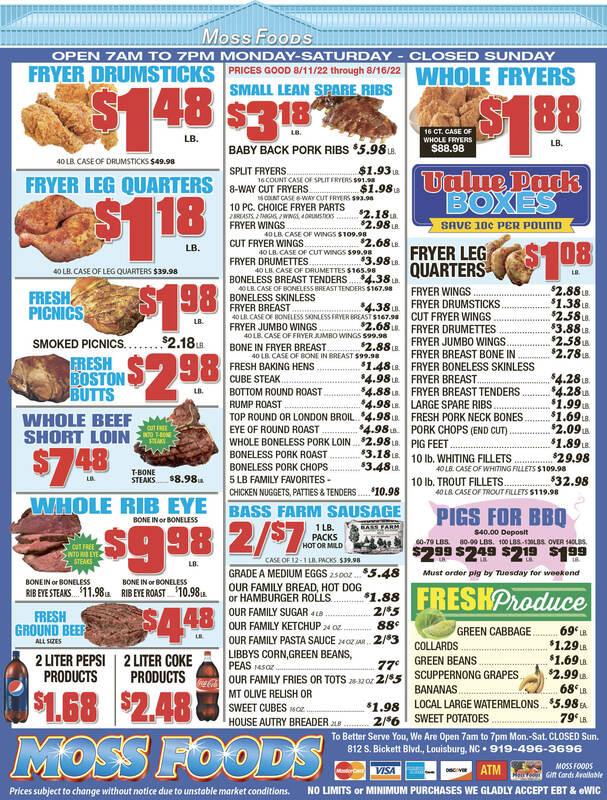 Showing 42 articles from March 6, 2019. 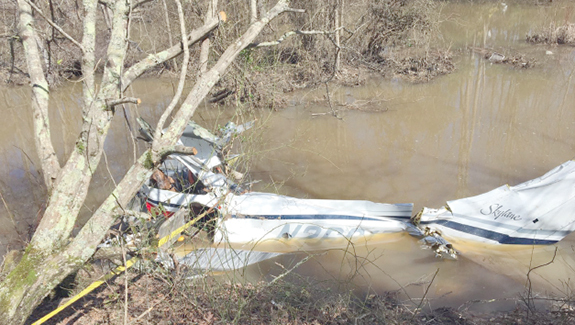 LOUISBURG -- Later this week, aviation investigators could release a preliminary report about a plane crash that killed three people, but it could take a year before they can determine what caused the single-engine craft to crash into a marsh at Clifton Pond last Friday night. Authorities say Brian Sjostedt was piloting the plane when it took off from Franklin County's Triangle North Executive Airport heading to Hilton Head, S.C. when it crashed at about 7:20 p.m.
LOUISBURG -- The case against a Franklin County man accused of killing his father will proceed later this year. Adam Jake Helms appeared in Franklin County Superior Court on Monday, purportedly to take a plea on the charge of second degree murder in the August 2017 death of his father, Loy Helms. 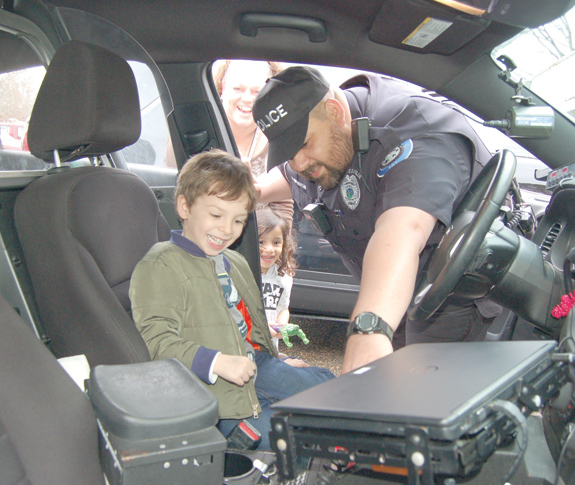 Youngsville Police Officer B. Monzon gives birthday boy John Paul Gates a good look at the operations of a police car. Gates, his mother said, loves officers and wanted to celebrate his birthday with the Youngsville department. 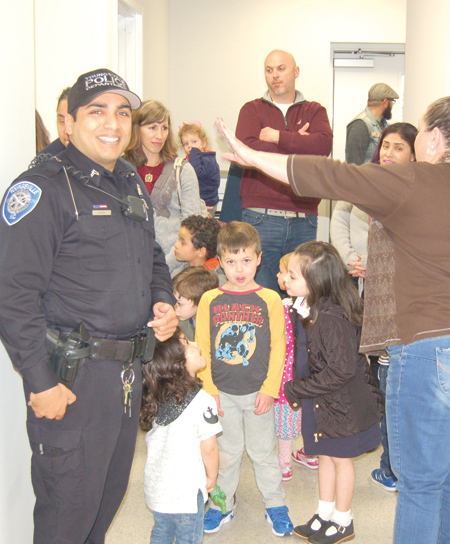 He invited friends from pre-school, who got a tour of the department and squad cars. LOUISBURG -- Maria Parham Health peeled back the curtain on their continued efforts to bolster health care in Franklin County. The Duke Lifepoint partner opened Maria Parham Franklin in October, bringing an emergency room, diagnostic health and geriatric behavioral health services back to the area after Novant Health left town in October 2015. LOUISBURG -- A superior court judge was expected to hear what amounts to routine motions this week in a capital murder case. The trial against Darius Robinson, who police allege shot and killed three people in March 2016, is expected to begin during the superior court session in May. 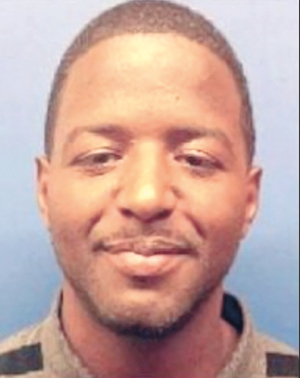 Agents with the Federal Bureau of Investigation's Violent Crimes Task Force and an FBI SWAT team combined with Suffolk, Va. police officers to arrest the then-24-year-old Robinson during a traffic stop in the Hampton Roads area of Virginia the evening of April 1, 2016. The last few days have triggered a brief jaunt down memory lane for me -- some of it melancholy while most of it involves happy memories. March 1 was the 28th anniversary of the day I purchased your Franklin Times -- and quite a day it was. The signing marked the end of several months of negotiations -- and my then-business partner, his wife and I had a tense wait the last couple of days before the signing. It's a fact that good ideas often come at the most unexpected time -- and often at a totally unexpected place -- but that certainly doesn't mean they aren't worth following up. For most of the last three decades, Franklin County officials have been paying lip service to finding new and reliable sources of water, both for residents and a way to entice increased economic development. You get to merge! You get to merge! You get to merge! Certain information can turn your whole life upside down. According to a Colorado Department of Transportation spokesperson -- by the way, I'm certain its applicable across the board -- shooting to the front of the line and merging at the most narrow point is "the correct" way to merge. 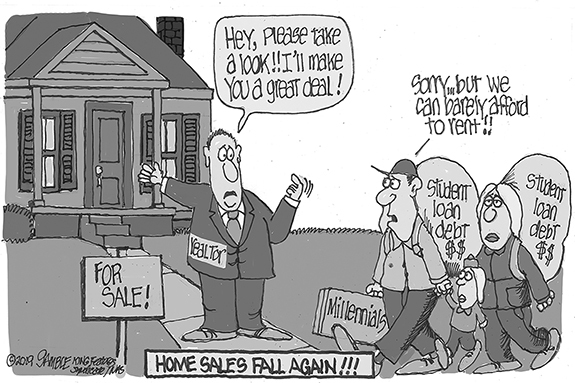 I know I am getting old and maybe that is the reason I am becoming more skeptical. As a young boy, I remember seeing a man standing on the corner in town with a very large Bible, preaching to everyone within the sound of his voice that the end of the world was near. That was scary to me. But that was about 1957 and we are still here. Go figure. LOUISBURG--Funeral services for Annette Tucker Alston, 83, who died Sunday, March 3, 2019, will be held Saturday, March 9, at 1 p.m. at Fork Chapel Missionary Baptist Church in Warrenton, with Pastor Emery Jones officiating. Burial will follow in the Fork Chapel Church cemetery. LOUISBURG--Carlton Maurice Sturdivant, 71, of Louisburg transitioned peacefully into eternal rest on March 5, 2019 at Rex Hospital. 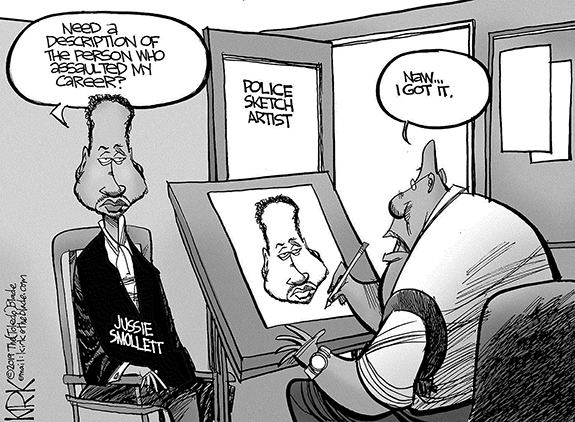 He was born on January 11, 1948 to the late Walter Maurice and Doris Bowden Sturdivant. Carlton was a simple man and had a gentle spirit. He loved his church, his family and he enjoyed playing cards with his friends and listening to country, gospel and bluegrass music. WASHINGTON, D.C.--Funeral services for Carolyn Barbara Lois Hight, 68, of Washington, D.C., formerly of Louisburg, who died Wednesday, Feb. 27, 2019, will be held today, Thursday, March 7, at 11 a.m. in the Richardson Funeral Home Chapel in Louisburg, with the Rev. Micah Mason officiating. LOUISBURG--Ruth Ann Powell, 80, died Monday, Feb. 18, 2019 at Louisburg Healthcare and Rehabilitation Center. LOUISBURG -- Forty runs scored, nine homers and just seven runs allowed. 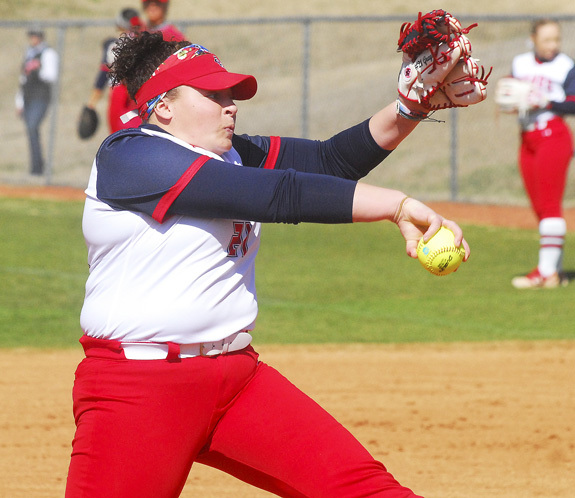 Certainly, it was quite a day for the Louisburg College Lady Hurricanes as they rolled to a three-game sweep last Saturday at home against Wake Tech CC in Region X softball action. 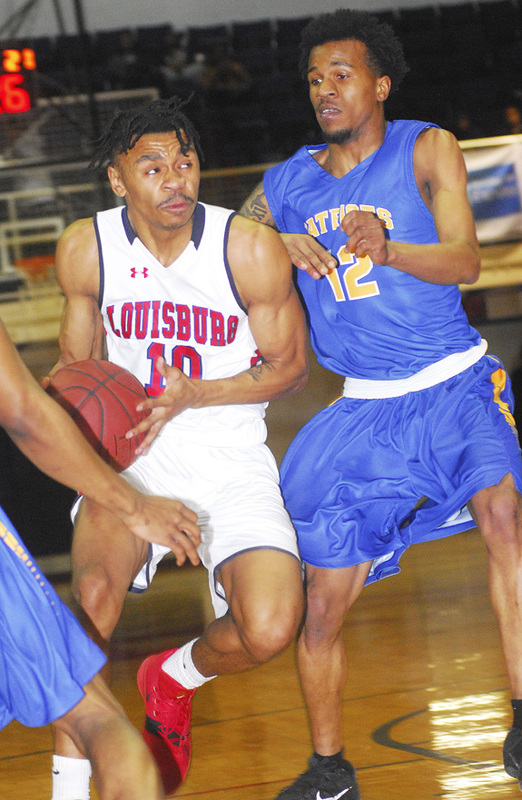 LOUISBURG -- It's all about survival this time of year, and that's exactly what the Louisburg College Hurricanes accomplished Monday in the opening round of the Region X Men's Basketball Tournament. Playing at home, the Hurricanes held off a late threat from Patrick Henry CC and were able to advance with a 71-67 triumph at Taylor Center on the LC campus. 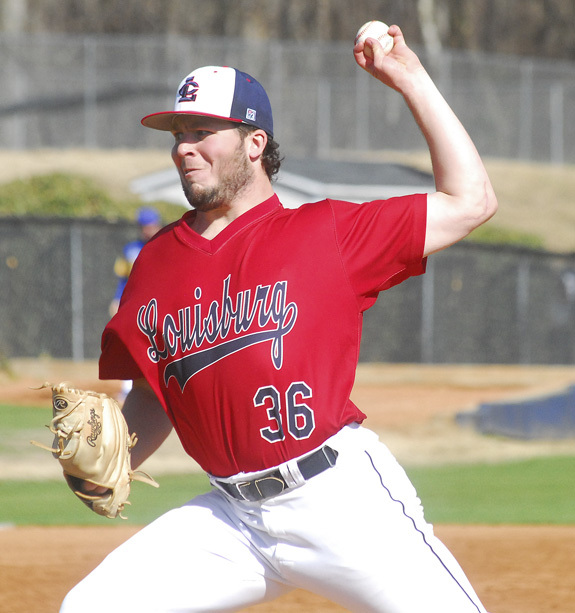 LOUISBURG -- Louisburg College veteran baseball coach Blake Herring saw plenty of potential from his club last Saturday -- but also some things that needed to be worked on -- as part of a home doubleheader against Rowan College at Gloucester County. The Hurricanes were nearly flawless in the opening game, earning a 4-3 decision that featured timely hitting, run manufacturing and clutch pitching. FRANKLIN COUNTY -- The Northern Carolina Conference boys basketball scene was as competitive as ever this winter -- especially in the upper portion of the league standings. Five NCC clubs made the playoffs, and Vance County and Granville Central tied for the regular season championship with 12 victories each. FRANKLIN COUNTY -- The consolidation of Southern Vance and Northern Vance proved to be a profitable one on the girls basketball hardwood this winter for the new Vance County High School. Vance County roared to the Northern Carolina Conference regular season championship with a 13-1 mark -- one game ahead of a strong squad from Roanoke Rapids. ZEBULON -- The Carolina Mudcats and Down East Wood Ducks have put their rivalry aside to introduce the all-new "Carolina Commuter Deal" ticket special for baseball fans all throughout Eastern North Carolina. This jointly announced special features discounted tickets for fans of either team when they follow their club to the opponent's stadium in Class A Carolina League baseball action. BUNN -- Bunn High School pitcher Tripp Harris was simply perfect during Tuesday's home baseball contest against Northern Carolina Conference opponent Vance County. Harris, a veteran righty, offered a perfect game on the mound as the Wildcats rolled to a 19-0 triumph versus the Vipers. 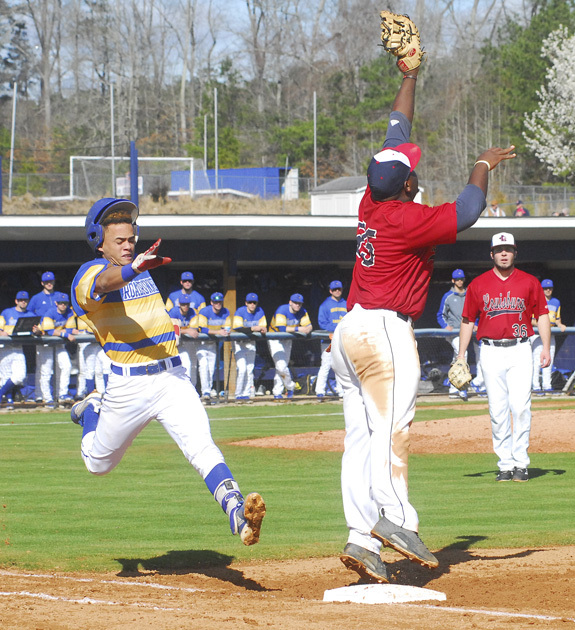 Louisburg College's Darius Nobles (right) elevates to bring in a high throw and retire a baserunner during last Saturday's diamond doubleheader at historic Frazier Field. 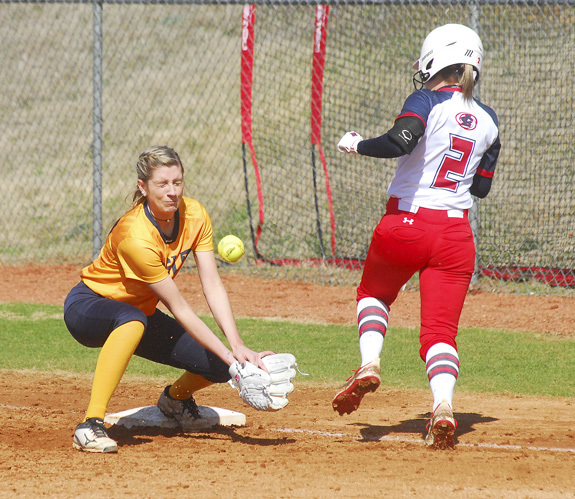 Louisburg College's Abbi Colclough (right) legs out an infield hit during last Saturday's home tripleheader versus Region X opponent Wake Tech CC. 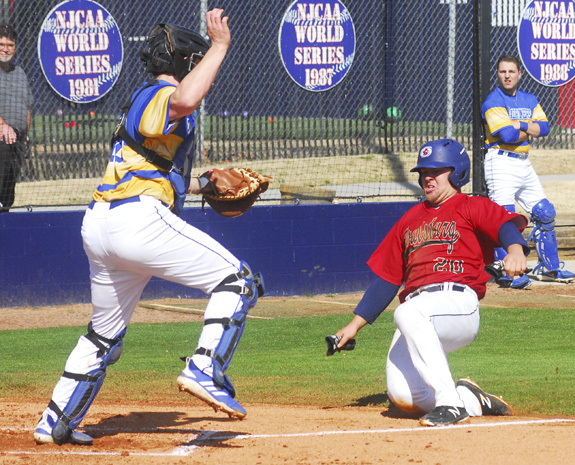 Louisburg College's Derek Neal (right) scores a run for the Hurricanes during last Saturday's home doubleheader against Rowan College-Gloucester County at Frazier Field. 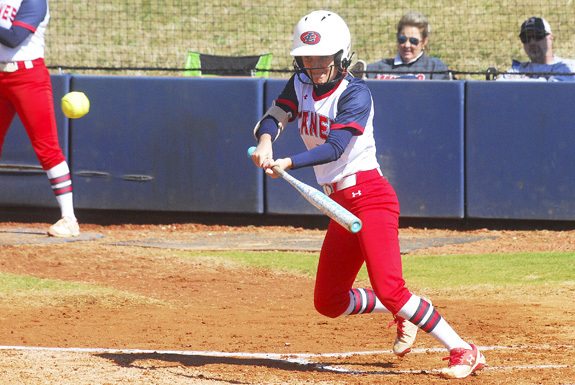 The Hurricanes split the twinbill and will begin their Region X slate this weekend on the road at Spartanburg Methodist College, which is located in the Upsate portion of South Carolina. Louisburg College's Mason Hedgecock takes aim at a pitch during last Saturday's tripleheader. 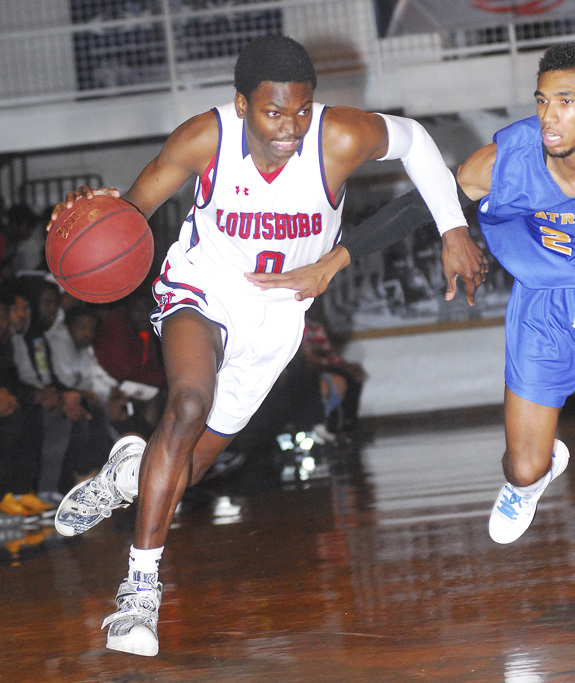 Louisburg College's Todd Smith (with ball) put together another strong performance for the Hurricanes during Monday's tourney triumph against Patrick Henry Community College at historic Taylor Center on the LC campus. 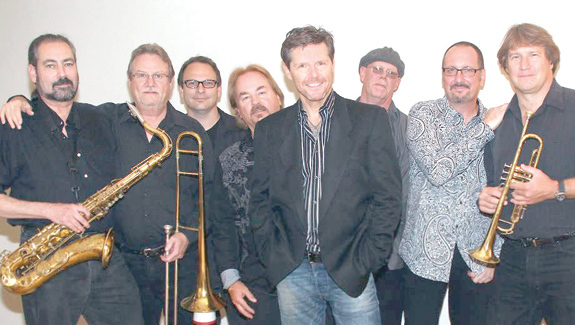 Kenny Cetera will bring his "Tribute to the Music of Chicago" to Louisburg College at 7:30 p.m. Friday, March 15. Cetera and his band of music veterans will perform many of Chicago's favorites such as "Colour My World," "Does Anybody Really Know What Time It Is?," "Feelin' Stronger Every Day," "If You Leave Me Now," and "Saturday In The Park." Randi Arrington, 2018 Tiny Miss Franklin County, was honored to model in New York Fashion Week recently. 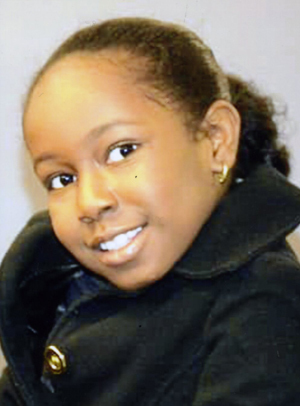 She also competed internationally in Los Angeles in January, 2018, and was awarded Top 10 Child Actor of the Year 2018, 4th place swimsuit, Runway and TV script. 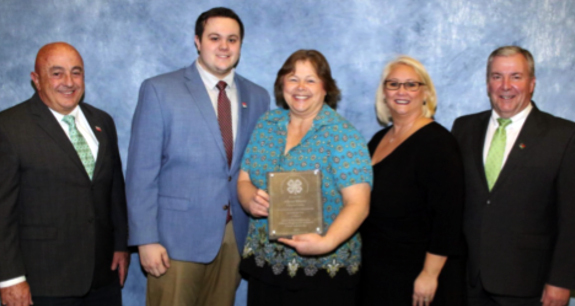 Cedar Creek Middle School agricultural teacher Morgan Meadows received $1,500 from the Franklin County North Carolina Farm Bureau to use towards supplies in her classroom. Steve Nelms, president of the Franklin County Farm Bureau Board, presented Meadows with the check. This is just one way the Farm Bureau supports Franklin County Schools. The organization donates time in the classroom and funds for activities across the district which help promote agriculture. LOUISBURG -- A sheriff's deputy who was placed on leave pending a probe by the State Bureau of Investigation has returned to work. Deputy Brandon Ray returned to duty in January. Sheriff Kent Winstead placed Ray on leave in October when an agent with the Northeastern District of the SBI in Pitt County contacted his office, notifying him that Ray was the subject of an investigation. PARTY TIME. Above, Officer J. Magsi, left, shows kids, including Lawson Harris, center, and Maddie Gates, the Youngsville Police Department. PARTY TIME. 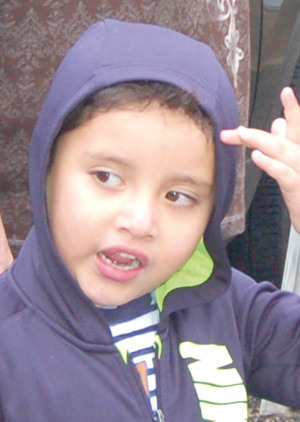 Above, birthday boy John Paul Gates, 4. 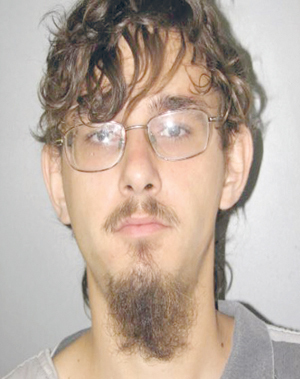 LOUISBURG -- A Youngsville man was sentenced to at least four years in jail after he was arrested on suspicions of breaking into the home of a dead man. Franklin County sheriff's investigators allege Robert John Miller Jr. broke into the Millhouse Court home of John Nash III and Whitney Jackson on Oct. 10, 2017 -- two days after Jackson died from injuries she sustained when a motorist crashed into the back of the motorcycle she was on in Tabor City. A two-vehicle wreck sent septic waste streaming down a ditch and spun the tanker truck down and off the roadway before it crashed into a porch in the 800 block of Sykes Road the afternoon of Feb. 25. No significant injuries were reported. According to a report by Trooper P.L. 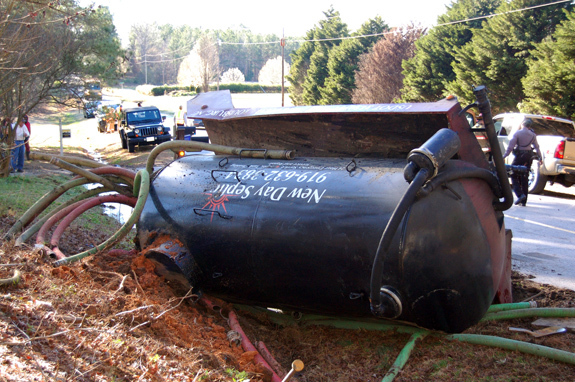 Clayton, Callie Moore Jr., 52, of Spring Hope, was attempting to pass the septic tank truck along the two-lane road when a vehicle coming in the opposite direction forced him back into the westbound lane of Sykes Road. BUNN -- The Bunn police department has witnessed its second departure in two months' time. 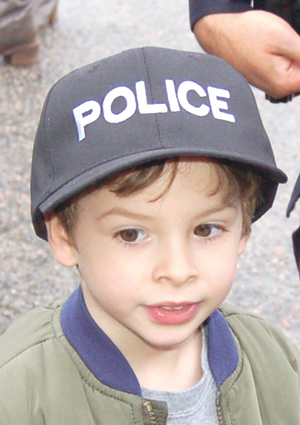 The most recent exit cost the town a local school resource officer. Former chief Joe King retired at the end of January. At the end of February, police sergeant and school resource officer Connie Francis resigned her post. NASH COUNTY -- Franklin and Nash county authorities arrested a Spring Hope man who eluded authorities while a Franklin County deputy tangled with an armed man during a traffic stop a few weeks ago. The Franklin County sheriff's office charged Travis Rogers with felony possession of a firearm by a felon, marijuana possession, resisting a public officer, having an open container and traffic offenses. LOUISBURG -- The Greater Franklin County Chamber of Commerce is looking for new executive leadership. Earlier this month, Executive Director Don Lancaster notified directors that he would be retiring -- less than a month after the Chamber's annual banquet where he delivered a passionate message about growing the Chamber's membership and reach in 2019. RALEIGH -- Police arrested a third suspect they allege was responsible for killing a Louisburg man. 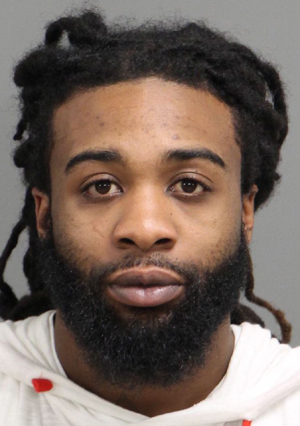 Noel Adophus Matthews, who has a Youngsville-area address, was arrested Saturday and charged with murder in connection to the death of Darrell Travonne Willie Greene. The 26-year-old was arrested without incident. LOUISBURG -- The town of Louisburg is in "great financial shape," Town Administrator Jonathan Franklin told the town board as it gathered recently in its first budget meeting for the 2019-20 fiscal year. He added that the town had a "great year" financially and the goal for having a $2 million reserve in the Electric Department is ahead of schedule with $1.9 million already on the books. "We're ahead of projections," he said. Three volunteers from Franklin County attended the 4-H Volunteer Leaders' Conference recently in Raleigh. The delegation joined more than 190 4-H Volunteers from across North Carolina. While at the conference, delegates had the chance to participate in interactive workshops on topics ranging from robotics to social media, learn with others from across the state, as well as elect and install new officers for the North Carolina 4-H Volunteer Leaders' Association.